After cleaning up remaining broken multipolygons in OpenStreetMap in the Antarctic as part of an ongoing effort to fix broken geometries – by the way I am happy to report Antarctica is now the first continent in OpenStreetMap without serious multipolygon errors or old style tagging of multipolygons – i also did a traditional cleanup round around the poles to remove bogus data. 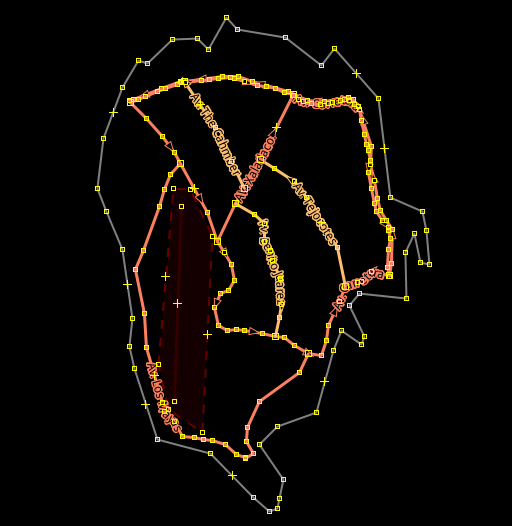 The phenomenon of accumulating garbage in the OSM database is best known from Null Island. But sometimes the data also turns up around the poles and accumulates there because people rarely ever look there and clean up. Areas beyond the Mercator map limit slightly beyond 85 degrees latitude do not turn up in most QA tools and editors so they are kind of invisible to normal OSM activities. I have not done such a cleanup for some time and apparently others have not either so here are a few highlights of things that got lost there. 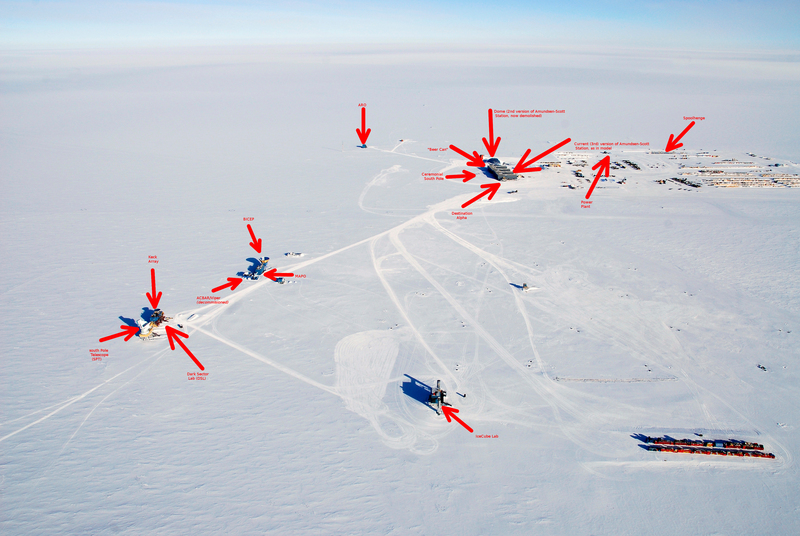 Now the area around the south pole is pretty empty again. It is difficult to map here because although JOSM can meanwhile be set to use polar projection (EPSG:3031 for the Antarctic if you want to try) none of the usual image sources covers this area. If you want to do some mapping around the south pole here is an Icebridge image from a few months back. You can download and use it in JOSM using the ImportImage plugin after setting the projection to EPSG:3031. 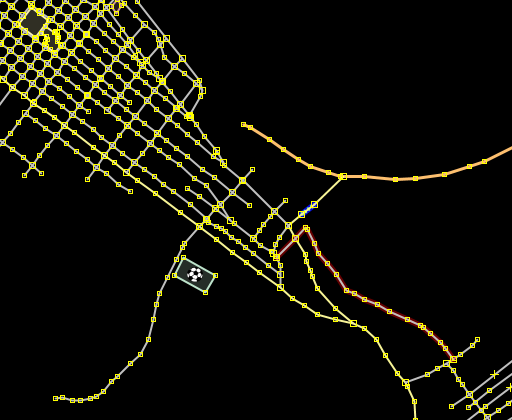 What does not work in this case is getting the existing OSM data via API – you need to use Overpass/XAPI for that. 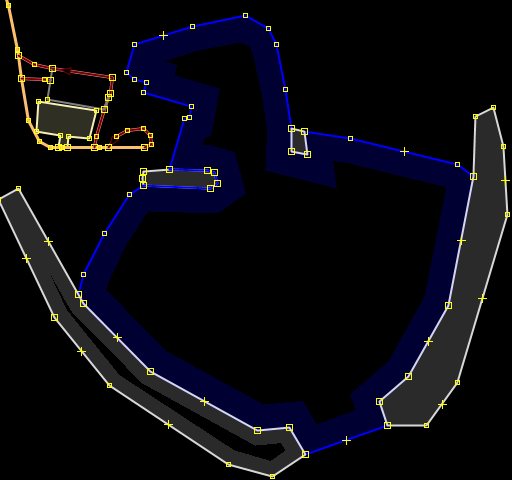 To identify the different things you can see on the image – here is a plan of the area and an annotated oblique image. 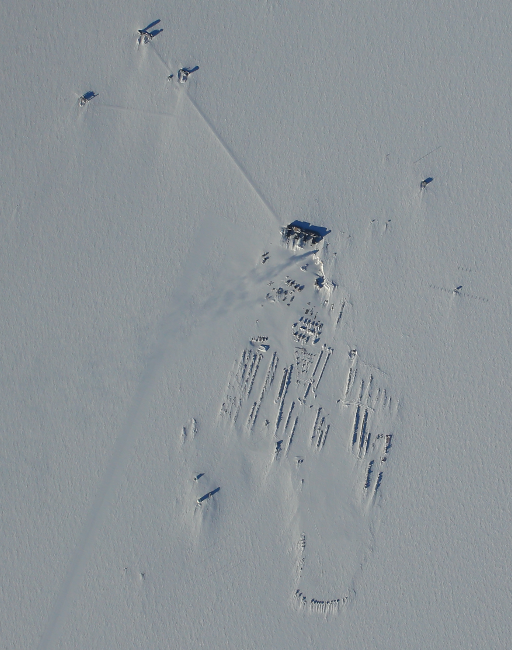 Note the Icebridge image is from very early in the summer season so there is relatively little visible except the permanent structures and traces of past activities have been largely covered by snow and wind during winter. Another thing to keep in mind: everything there is located on ice that moves by several meters every year so it is important when you map things to specify the date of the location information – in case of this image October 2016.